The first zucchini of the season at my house. 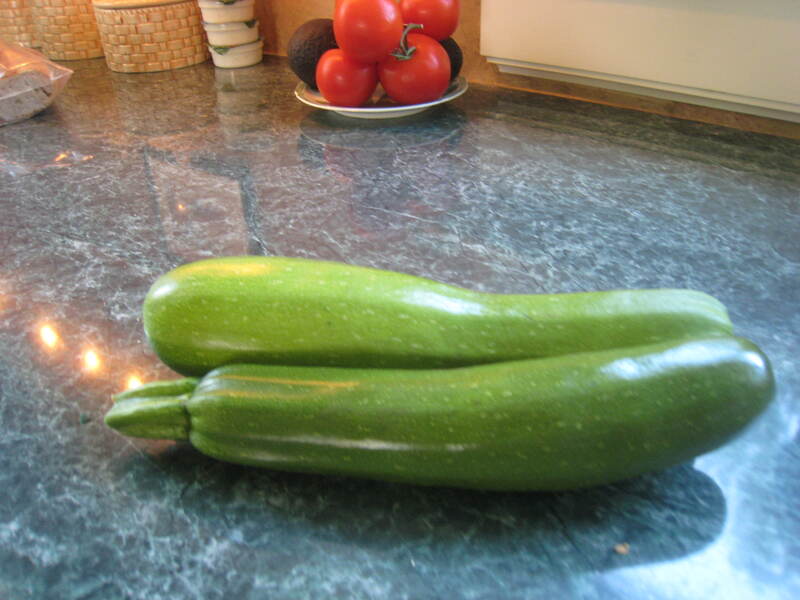 Remember how I picked the first zucchini of the season from my vegetable garden? Well, I did make zucchini bread from them. It was a pleasure to sniff the cinnamon and cloves as the loaves baked in the oven, but I’m getting a little ahead of myself here. One of the first really good cookbooks I used. 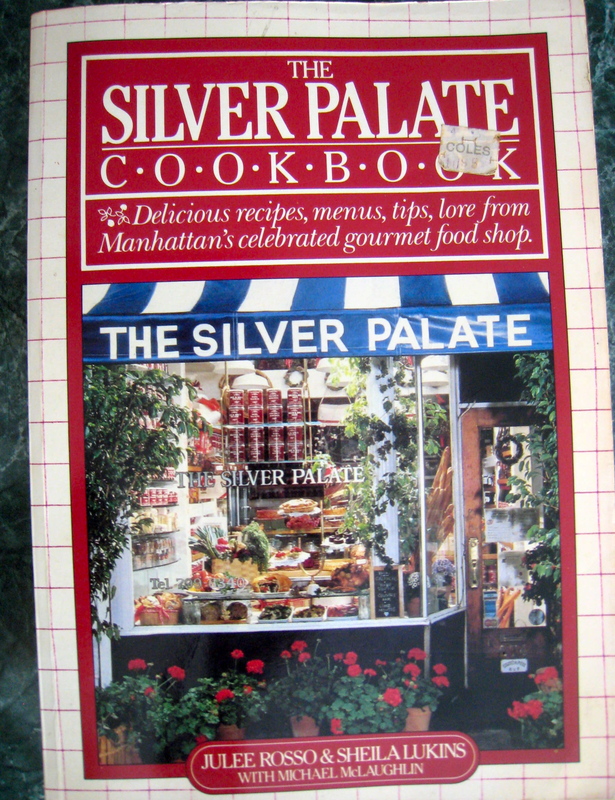 I have a stained, much-used copy of the Silver Palate Cookbook that my girlfriend Kathy gave me when we were young and worked together at an investment bank. 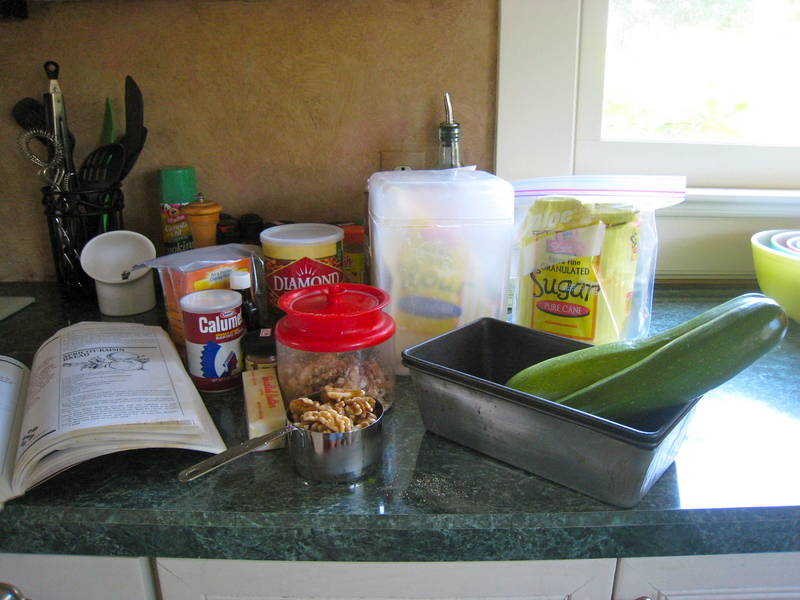 Sometimes, when we had a couple of minutes between projects, we would talk recipes and cooking. She and her husband Mark cooked many a meal for my husband Mike and me in their small Brooklyn, NY kitchen. Kathy gave me my own copy of the cookbook for my birthday one year; she wrote comments next to all the recipes she and Mark had made and loved. For me at the time, it was a real adventure in cooking and a departure from the red Betty Crocker Cookbook that was the only cookbook I owned! I tasted tarragon for the first time because a recipe in the Silver Palate called for it! 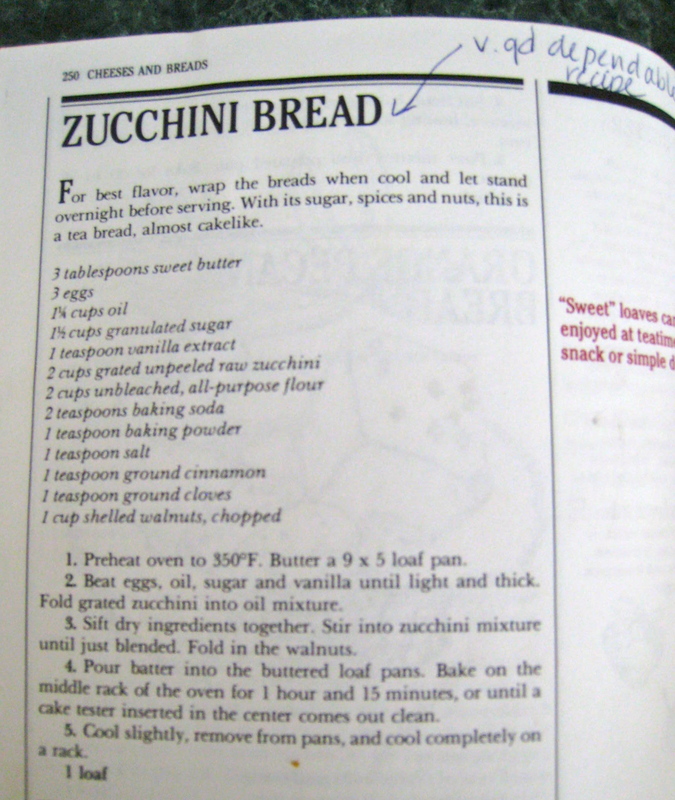 This zucchini bread recipe is reliable, easy and tasty. Thanks, Silver Palate! 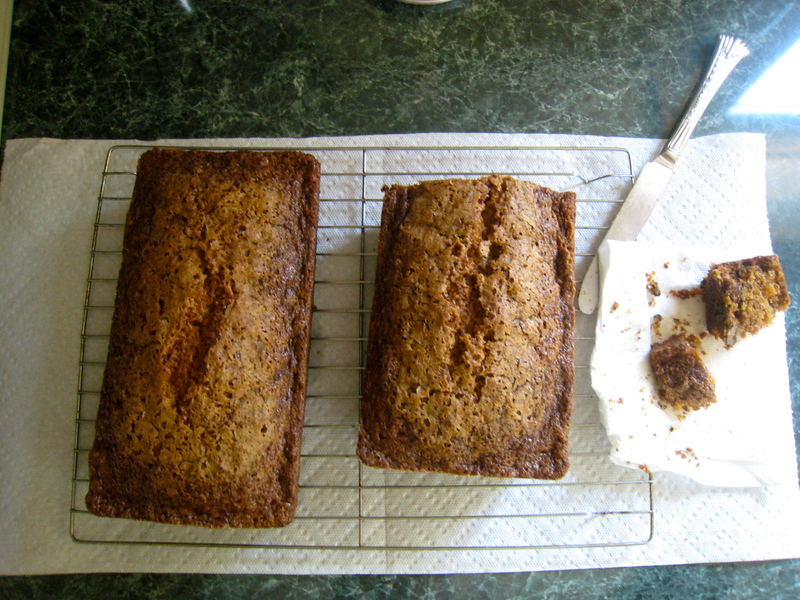 Every time I make this zucchini bread recipe it comes out great. And the loaves freeze well. I bake and cool them, then cut individual slices and freeze them. This way, in the dead of winter, I can thaw and toast a couple of slices for breakfast and daydream about my vegetable garden! From a gathering of ingredients. . .
To the finished product, albeit with a couple slices eaten already! YUM!! and the Silver Palate is my favorite cookbook (didn’t we talk about this when you were here???) I have never made a disappointing recipe from it and their recipe for Amatriciana sauce is superb…. Carole: You are correct! We did talk about it when I visited!! And I have to admit that you opened my eyes to other cookbook authors. . .Ina Garten ring any bells, my friend? !